The Venetian Resort Hotel Casino’s New Years Eve celebration is always one of the years biggest events. As one of the most elegant properties on the Las Vegas Strip, all design goes through intensive vetting and quality control. Quixotic’s design was chosen by the resorts top leadership and kept with the excitement of the evening while maintaining an elegant feel. A custom logo was created as well as an illustration of a woman’s silhouette, lending dynamic excitement to the design. The invitees were sent a custom box specialty printed with copper and rich black and the logo was screen printed on acrylic along with the grand imagery of the Venetian hotel. An inner invitation was designed showing the talent of the eventing, Lionel Ritchie. 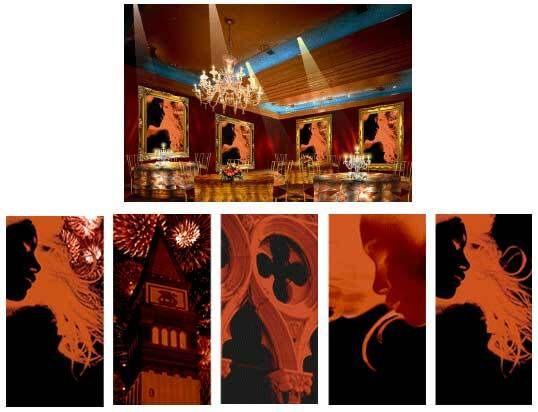 Quixotic also designed decor elements and all collateral which included additional invites, stationary, folders, digital billboards and on property signage.